Thank you for your interest in one of the premier wellness centers in Kansas City. We are a medically-supervised wellness center located just outside Kansas City that includes modalities for both your inner wellness and outer beauty. Our Age Management treatments with the same care and expertise as other medical procedures, including a complete medical history and appropriate physical examination, diagnostic testing with blood, urine and/or saliva to include biomarkers for metabolic and hormone deficiencies as well as evaluating for the accepted markers of disease risk. This is followed by a customized age management treatment plan designed to meet your individual needs. With place great emphasis on preventative measures, proper nutrition and supplementation, weight management and an exercise program with all of the age management clients at our wellness center. 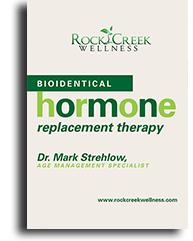 *We also incorporate the use of bioidentical hormones into our age management treatments where appropriate to help optimize your energy, strength, stamina, sexual functioning, cognitive thinking, memory and overall quality of life. *For those needing to downsize, our patients have achieved outstanding results with our numerous Weight Management options. *Our Renewed by Rock Creek program may be able to retrain your metabolism and address weight that may not otherwise be eliminated by diet and exercise alone. *We offer hand-selected, high-quality individual supplements and nutrition packs to optimize your body’s fat-burning capabilities while also controlling appetite. *Other helpful options include a 30-day weight loss kit, detox products, and lipotropic injections. *Our Skincare treatments utilize the most advanced and effective platforms available. Our gold standard laser technology has been effective for hair removal and brown spot removal. We utilize the next generation in dermabrasion and skincare with our HydraFacial MD system and broad range of chemical peels. *Our Venus Viva is the only NanoFractional Radio Frequency™ device available which offers innovative facial rejuvenation solutions that may be able to reduce skin laxity, texture, lines and wrinkles. *We also offer Botox® and various injectable fillers including Bellafill®, said to be the longest lasting filler on the market. Rock Creek Wellness is committed to providing the highest quality age management, medical weight loss, and skincare services to our clients at reasonable prices. You’ll always be in the hands of a well-trained professional at Rock Creek. We provide exceptional products from industry leading companies including: Image Skincare, Suneva Medical, Neocutis, Ortho Molecular Products, LivOn Labs, Life Extension, RLC Labs, Metagenics for skin care and supplement needs. *We also carry Product B Telomere Support from Isagenix, which is used to lengthen telomeres and fight the effects of free radicals and oxidative stress. At Rock Creek Wellness, our on-site board certified physician, Mark Strehlow, MD sets and maintains our high standard of quality care, and is conveniently available for your personalized consultation. *All of our skilled professionals are here to assist you with surgical and non-surgical methods to improve the signs and symptoms of aging. *We invite you to contact us today to schedule an appointment to begin your journey to look and feel your best.